West Chester Pike/Pennsylvania Route 3 is one of the region's most important transportation and economic corridors. Between West Chester Borough and the 69th Street Transportation Center, the corridor passes through ten communities in Chester and Delaware counties. The area within one-half mile of the corridor is home to over 90,000 people, 50,000 jobs, and several regionally significant destinations. Despite its importance, residents and visitors have few options beyond the automobile for traveling along the corridor. The West Chester Pike Coalition is a group of corridor stakeholders that has emerged from recent planning efforts along West Chester Pike. Both Chester and Delaware county staff have taken an active role in organizing and leading this coalition, which includes representatives from SEPTA, PennDOT, TMACC, DCTMA, corridor municipalities, and local economic development agencies. 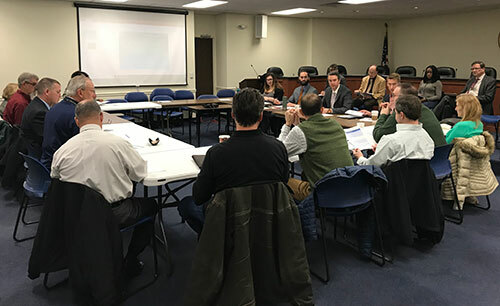 While the coalition was formed to continue to advocate for transit enhancements, its mission is deliberately broad so as to recognize the connections between transportation and land use and encourage the participation of a broad range of stakeholders united in their efforts to improve mobility for all along West Chester Pike. Vision: Improved transportation opportunities, operations, and safety along West Chester Pike. Mission: Increased coordination among stakeholders (municipalities, agencies, businesses, etc.) to implement strategies that will achieve the shared vision for West Chester Pike.